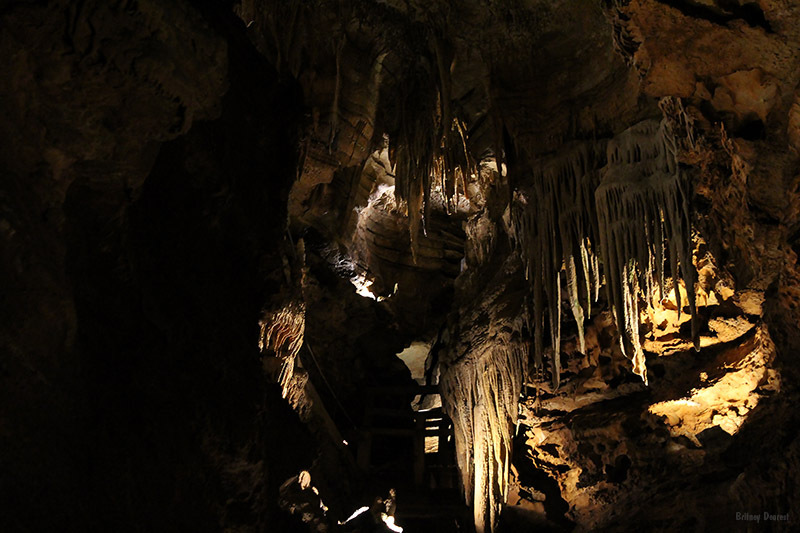 Britney Dearest: Our first Time Touring a Cave at Talking Rocks Cavern! Our first Time Touring a Cave at Talking Rocks Cavern! 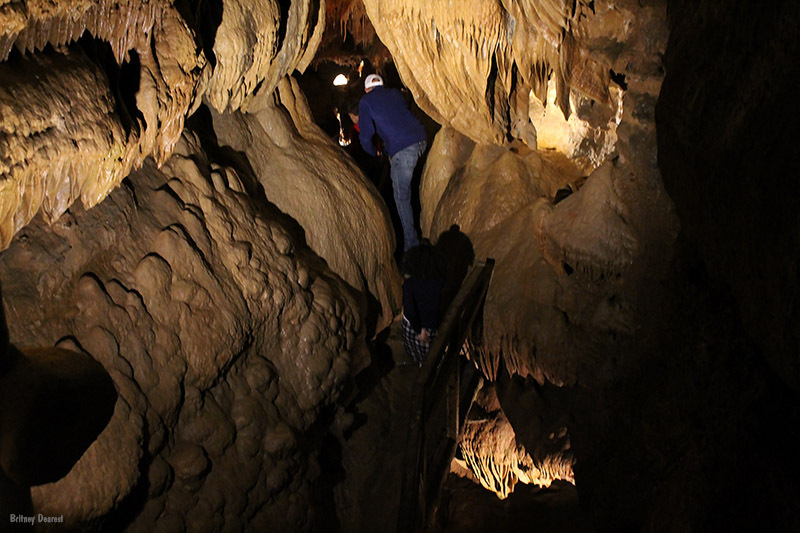 This post has been sponsored by Talking Rocks Cavern in Branson, MO. 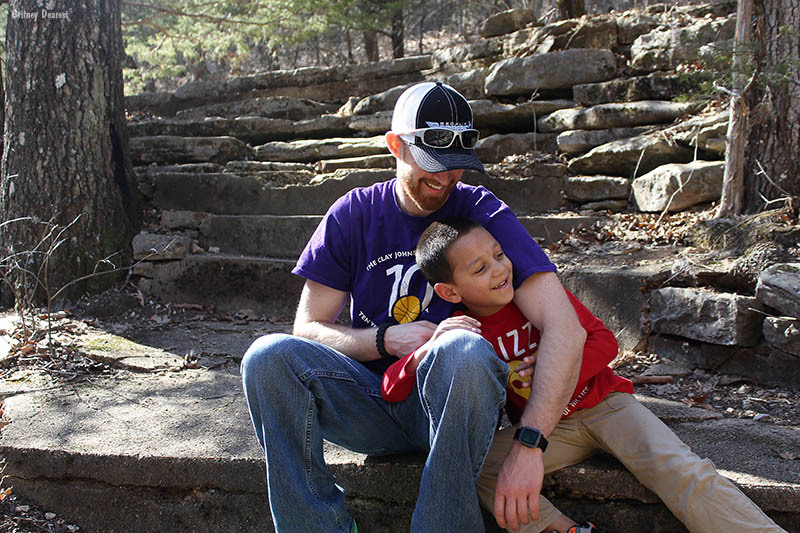 Recently, my family and I drove three hours away to Branson, MO for a family daycation- a vacation that lasts for a day. We left early in the morning around 6 a.m. and after we completed the last attraction, we got on the road, heading back home around 6:30 p.m.
Over the next three days, I'll share photos and details from each place we visited, beginning with the last attraction of the day. We all enjoyed visiting Talking Rocks Cavern. 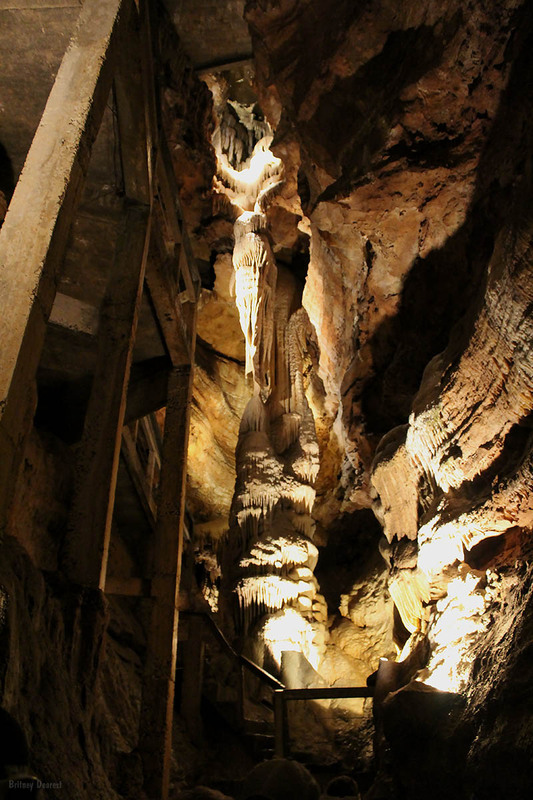 Although the cave is the main attraction, there's also a nature trail, miniature golf, gemstone mining, a playground, and indoor and outdoor Speleo Boxes. 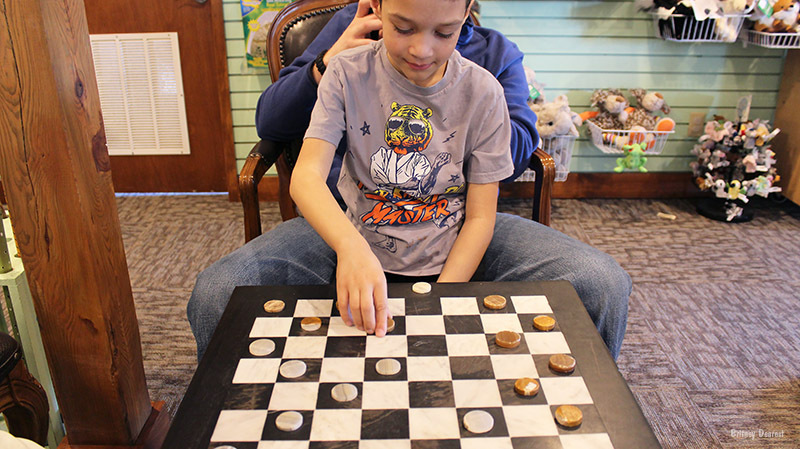 While waiting for our tour to begin, we played checkers using stones for the board chips. 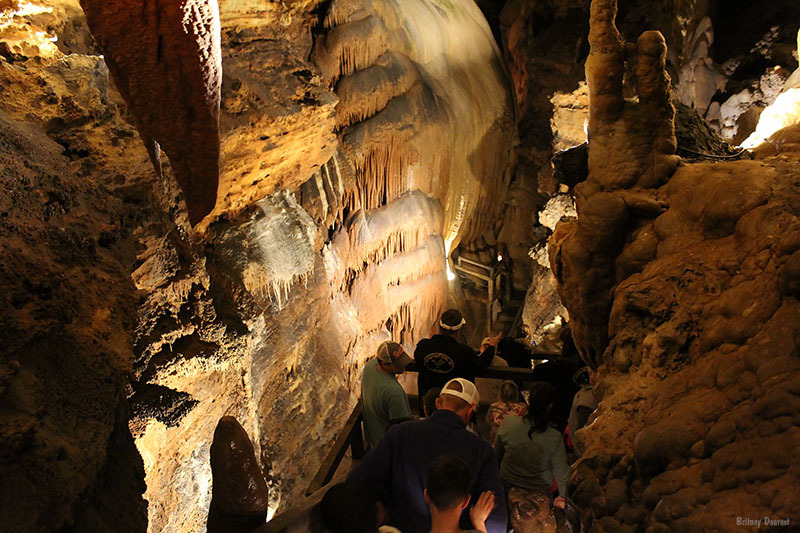 Prior to the tour, everyone gathered in the seating area where we went over safety rules and regulations and the history of how the cave was found and how it developed into the family-friendly attraction it is today. Below is an image of the view at the beginning of the tour. We stopped a few times as the tour guide gave scientific and historical facts about the cave and allowed tourists to ask questions. My husband won the award for most questions asked. Well, not really, but he asked so many questions that I began to get a little impatient. I was ready to move on and see the rest of the cave! 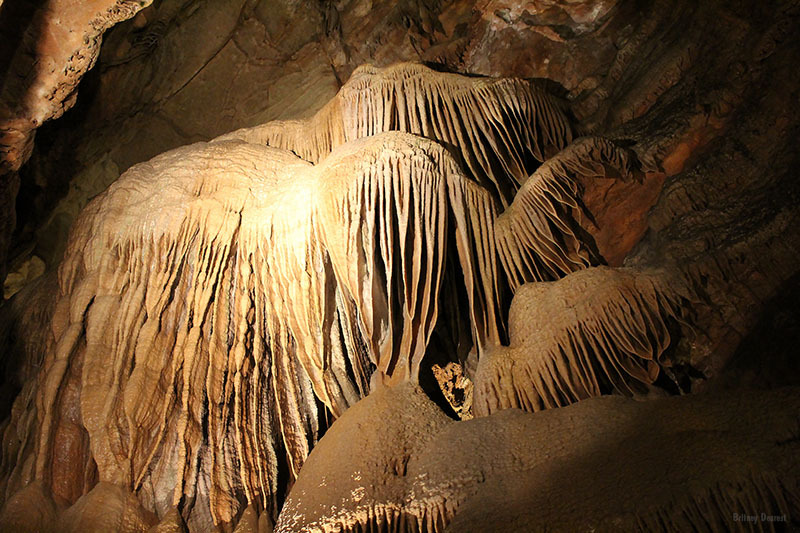 The formations were so fascinating! There was a moment when the tour guides asked everyone to pause and turn off all lighting so that we could see what the cave was like in complete darkness. My kids thought it was one of the most coolest, scariest things ever. 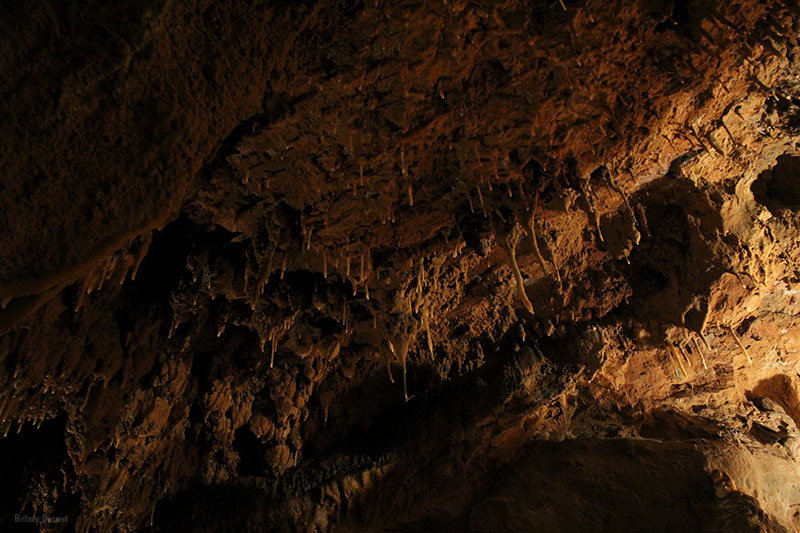 There were a couple of narrow spaces and a little bit of naturally occurring leakage throughout the cave, so we occasionally felt drops of water coming from above us. After our cave adventure we walked the nature trail, however, we didn't finish because the kids became tired, as it was nearing the end of the day. 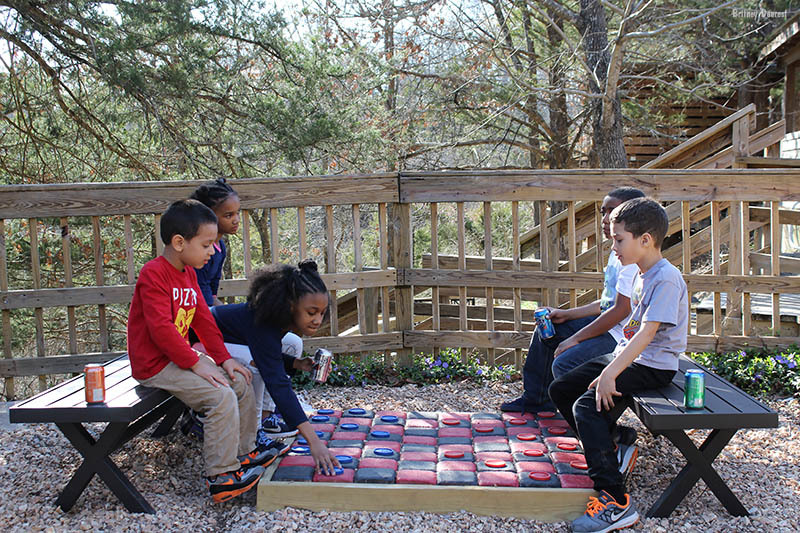 Before leaving, we played miniature golf and checkers again- a little different than before. 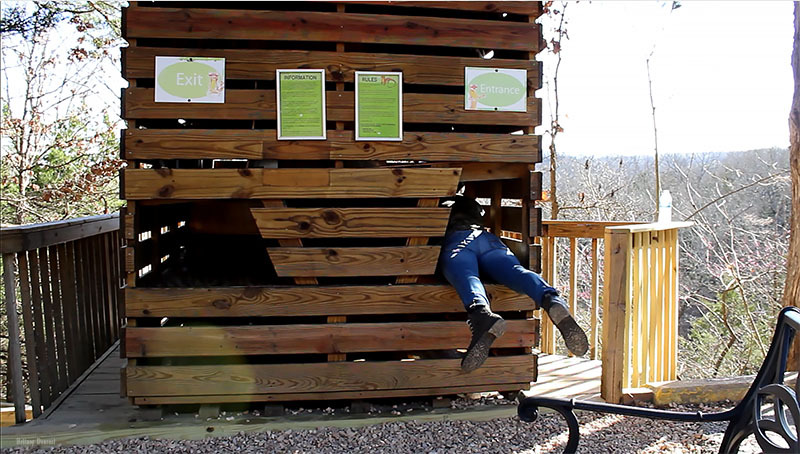 I'll share a full video of our full day on my Youtube channel Monday, so be sure to visit! There was something interesting I had never heard of and wanted to try... a Speleo box. There were two- one inside and one outside. It's supposed to mimic climbing through a narrow cave and, someone ended up getting stuck before even climbing completely in. Guess who. Talking Rocks Cavern was a fun and educational family experience and has piqued our interest in participating in more cave tours! 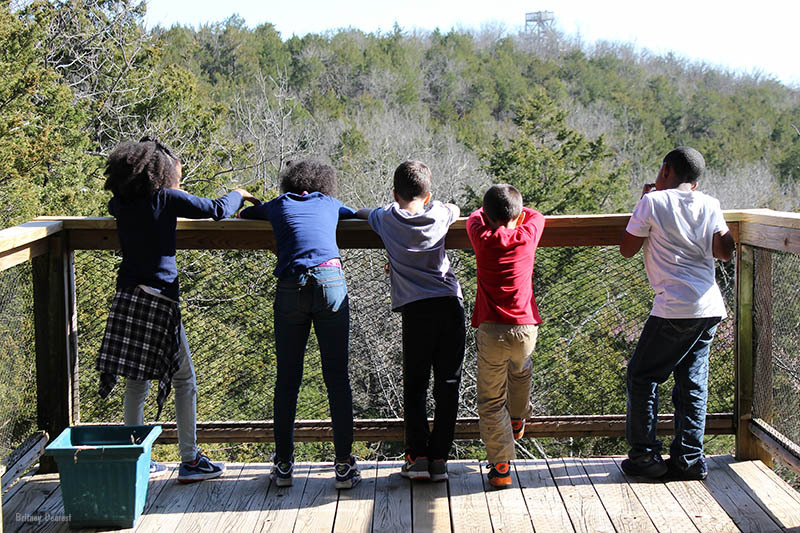 Click HERE to save $2.00 off each regular price admission. *Not valid with other offers. Valid for up to 10 people!